Around this time every year, a mass migration begins to kick into gear, as second and third-years prepare to move out of housing and into apartments. You can already hear people hatching their initial plans; finding roommates, locations, and landlords; and indulging in unrealistic daydreams. Apparently, everyone will stay very involved in their houses and consistently find the time to make good meals. I never really understood the rush to move into apartments. Between the extra chores, distance from campus, and loss of house culture, it seemed like an unpleasant trade-off. So I wasn’t exactly outraged by the University’s plans to expand the housing requirement, or by news of the new megadorm. I would have been perfectly fine staying in a traditional dorm on campus, but I felt compelled to make a small concession to all the enthusiasm around “growing up” (and a strong desire to escape the horrors of public bathrooms). I moved into one of the apartments on campus. Of course, my apartment’s not a “real” one. I don’t have to put up with nagging landlords, my apartment’s quite literally in a dorm, and there’s easy access to all the amenities that go with it: a mostly functional laundry room, the nearby cafeteria, constant study breaks, house events, and more. While helping set up my room, my judgmental sister declared that “apartment” was a misnomer; as she put it, it’s just “a dorm room with an oven.” That’s why I thought it wouldn’t be difficult to maintain the faux-apartment like an independent, responsible adult. 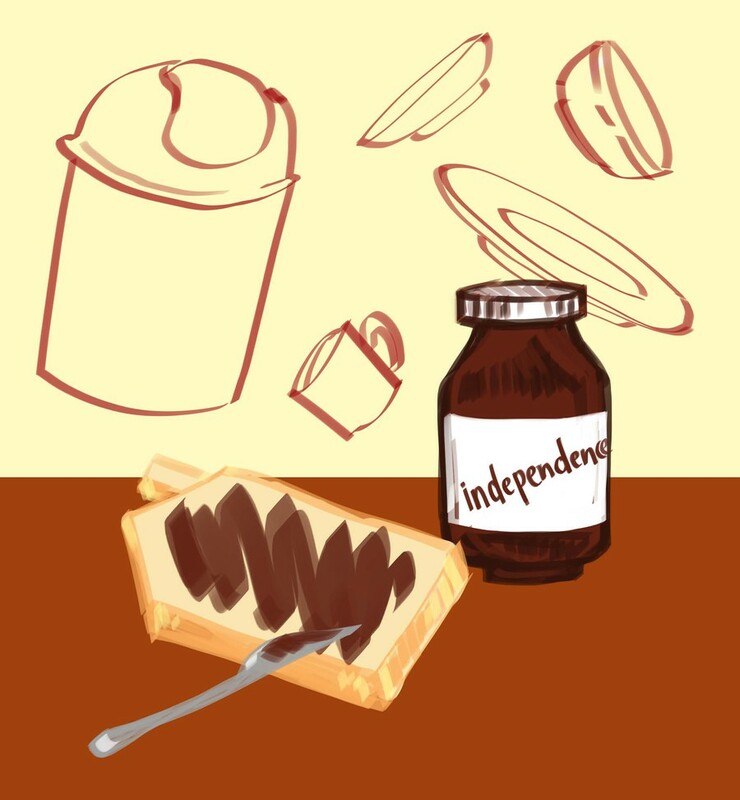 What I’ve actually discovered is that “independence,” in this context, is a euphemism for totally unchecked negligence. Cooking healthy or at least borderline adequate meals? Please—the only groceries I remember to consistently stock my kitchen with are jumbo-sized jars of Nutella and peanut butter (necessities, right?). In my defense, thorough grocery shopping is next to impossible when the only “grocery store” in reasonable walking distance is the Midway Market. The fact that there’s no dishwasher—which seemed like a non-issue at first—is now borderline apocalyptic; the mountain of dishes in the sink threatens to become a permanent geographical feature. And I’m trying not to be too distressed by the number of times our trash can has simply vanished into thin air, only to reappear in a slightly different color and/or size. I’ve drawn some comfort from the realization that I’m definitely not alone, although I imagine this isn’t very comforting for my forbearing roommates. While some of our apartment-bound classmates have managed to keep things reasonably orderly, others might as well be auditioning for some voyeuristic home makeover show. But perhaps one of the most appealing characteristics of the dorm apartments is that you get to hang on to house culture. While plenty of students sign up to be house associates when they move off campus, it’s still easy to lose the sense of community you get from actually living in a dorm—most of the house associates I know drift away from their house culture pretty quickly, often because they’re further away from their houses. That’s part of what makes the dorm apartments so nice. You get to preserve that community in an apartment setting. The University may be onto something when it tries to foster those house communities, even if some of its methods, like requiring students to remain in dorms for two years, seem disagreeable. But it should be cognizant of the fact that students outgrow traditional dorm arrangements pretty quickly. Expanding the in-house apartments may be a way to encourage more students to stay in housing without disregarding those preferences. Just lock down the trash cans and stock up on the Nutella. Natalie Denby is a fourth-year in the College.